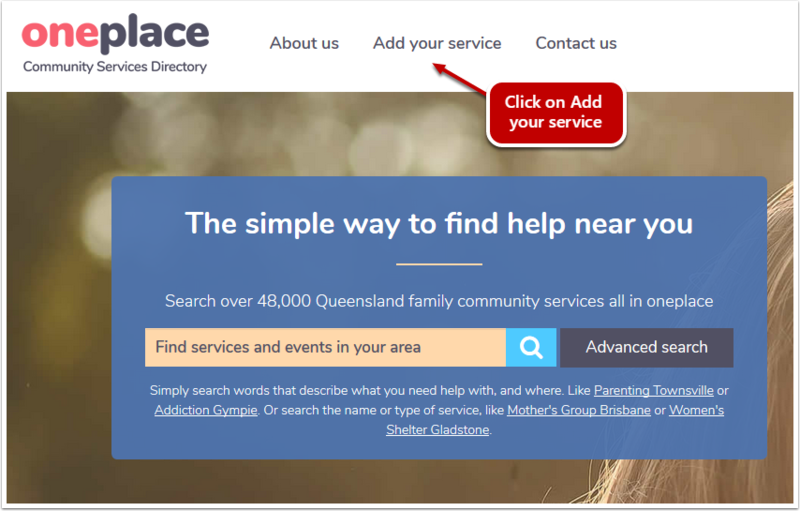 The oneplace Community Services Directory allows all users to add a listed service. 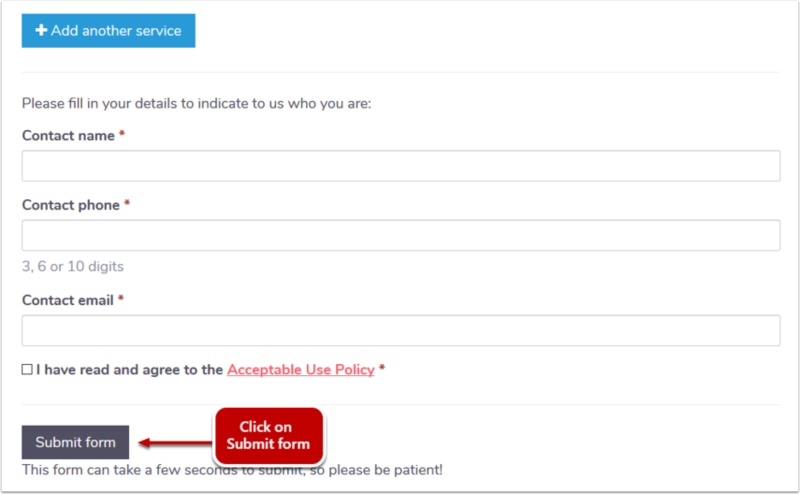 Click on Add your service link in the top menu. Click on Register your service link. A form will appear below. 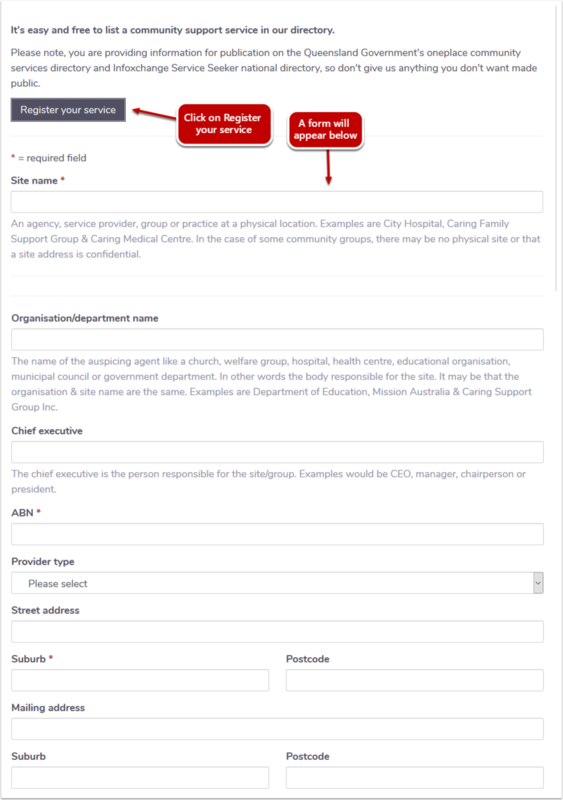 Complete the form and click Submit form to send the form to the oneplace Community Services Directory administrators. Note: the changes will not be reflected in the directory until the information has been reviewed and approved by the database administrators. The service may be contacted for confirmation of information completed.